#1: The new shop. The goal by the time we were sitting down for turkey was to be in the new shop and pretty well set up so we could get back to customers' projects with as little delay as possible. We are a few days off the goat but still pretty darn thankful for this 1100 SF space where we'll be able to build above 30' or have multiple smaller boats in construction, or new construction and a prototype, or one big boat, mastmaking, and oarmaking all happening under one roof for the first time. #2: Our customers. We wouldn't be here without them. 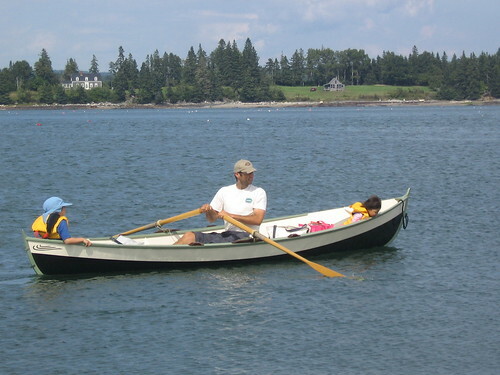 A handful now are out there building our boats around the States, from Maine to Washington, Montana to Texas. Thanks to those who have helped me start out and who help me keep on! #3: The designers we contract with have been key to our success and I thank all of them: Francois Vivier, Michael Storer, Bruce Elfstrom, Eric Risch, Ruud Van Veelen, Rodger Swanson, Roger Long, and all those who have helped contribute to our grand plan. 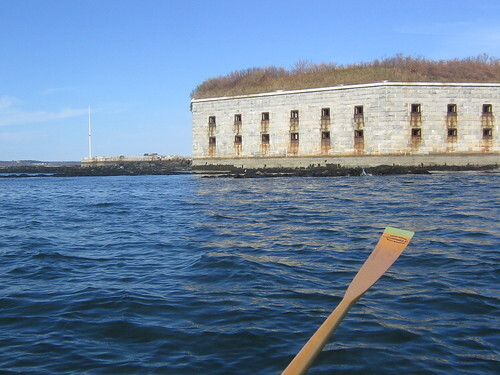 #4: Casco Bay and Maine: Though we are in a semi-industrial, urban neighborhood, it is but a 3 minute ride to the ramp that accesses the most beautiful waters in the Northeast. I am very thankful to have access to these parts, the islands, the open ocean and the memorable rows and sails we've had. #5: Of course my family who have been unbelievably supportive in my ventures, not the least of which is starting our business building beautiful boats, spars, oars and selling boat kits to others whose dream it is to build their own boat.